It all started with Privatization of Indian Radio in the year 2000. And after almost 10 years our Radio industry is matured enough to take up some creative initiatives too. 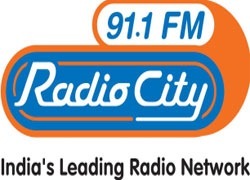 Radio City with Indimoto has launched Carpool on Radio initiative for Mumbai and Delhi audience (Read full news here.). This sounds interesting as most of the people listen to Radio while driving. Indimoto has just got it right as Carpool audience can very easily be targeted using Radio. The show is also positioned very well. “Its aired between 7am-11am and 5pm-9pm (Monday-Friday) till 15th August 2009 and involves the Radio City RJs educating listeners about carpool, its saving benefits and sharing success stories of commuters who benefited from making a carpool through Indimoto.com. This also provides an interesting opportunity for people in Delhi and Mumbai, who spend major portion of their day on roads, fighting that horrific traffic. 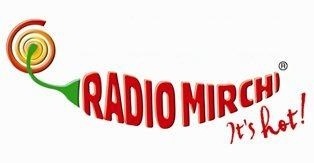 Radio Mirchi with Aircel has announced Mirch Lift Kara De service in Mumbai (Read full news here.). This is kind of social initiative from Aircel trying to win the emotional side of people during this Monsoon. This is a free service which will help those stuck in rains at important areas like Dadar and Worli to reach their destination using special Cabs wearing Radio Mirchi and Aircel brands. Now this is really cool, who can think of a better way to connect to people? This works even better as people who will use this service can never forget the Brands. Bravo! 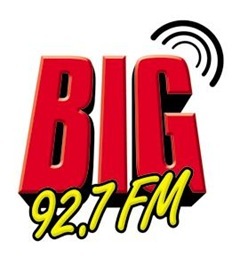 Back to Pavilion an initiative by BIG 92.7, Kanpur has targeted students’ community in a very fresh way. They organized this aptly titled program to make students get into the right groove before going back to Schools after vacations. Programs included interesting quizzes and fun interactions with students across schools of Kanpur. Students also competed for BIG Champ of Kanpur where they showcased their talent in energy level, IQ, memory, corporate knowledge and overall personality. This shows how important it has become for Radio stations to target every niche audience in unique ways. I am sure there are many more such initiatives that FM radio stations launched locally in thier respective cities that may have positively impacted your lives– Let us know if you have come across any! This post has been submitted by Rabi Gupta, a start up enthusiast and soon to launch his first product iDubba (Intelligent Box). Thanks for putting up the point. Yes, in fact what I meant here was major target market for Indimoto can be reached through the people listening to the Radio on Cars. Anyways, thanks for putting up the stats. Its not that ‘most of the people listen to Radio while driving’ but rather ‘most people driving cars listen to radio’. Car listenership of overall radio listenership is only 5% – in line with car ownership . 60% of the listership happens at home, and almost 50% today is happening on FM enabled Mobile phones.